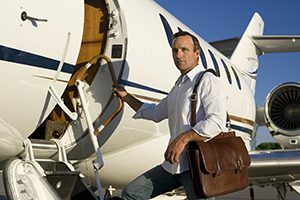 Spending hours on end dedicating yourself to achieving optimal success as an industry professional and CEO, leaves little time to invest in your appearance. From jet setting, to client dinners, conventions, outings, and constant travel, it seems almost impossible to have your outside reflect your your accomplishments and lifestyle. 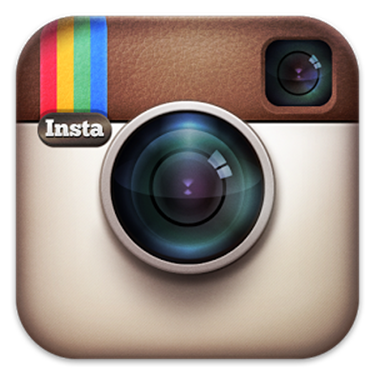 Dr. Steinbrech has the solution to enhance your physical appearance with the leader in the field that you are. Having a strong jawline and chin will give you the confidence boost you need in your day-to-day work and personal life. A defined jawline adds a more powerful physical presence, leading to a more successful you. Without changing what makes you, you, Dr. Steinbrech’s expertise in injectable fillers can make you look like a stronger more defined version of you- in just 15 minutes. Having a jawline recontouring involves injectable fillers being artfully placed to sculpt out the jaw line and produce a strong defined chin. Jawline recontouring does wonders by seemingly adding 20 lbs. of muscle to the body. 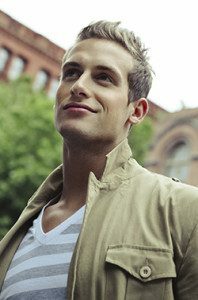 Men in their 30s and 40s will look ten years younger after having their jaw line and chin sculpted to male perfection. The result of jaw line recontouring is astonishing; as it offers a confidence-boost from the immediate result of Dr. Steinbrech’s 15 minute procedure. In conjunction with a jaw line recontouring, Dr. Steinbrech can also enhance the cheek bones and fill in hollow areas beneath the eyes to reveal a younger, more chiseled, powerful looking you. Aside from the area under the eyes, sagging skin in the neck area radically shows signs of age. Aging males can begin to notice a loss in skin’s elasticity in the neck area, causing lose skin; creating a less slim and youthful appearance than you once had. Loose skin in the neck area is treatable with a neck lift. Neck lift surgery allows for the tightening of underlying muscles, improvement of the jowls and/or reduction of fat deposits beneath the chin (getting rid of “double-chin”). The neck lift is less invasive than a facelift; however the results offer the same dramatic result of a younger and fresher look. Neck lift surgery can be done with IV sedation or general anesthesia. Neck Lift incisions are most often made around the ear lobe and behind the ears for virtually undetectable marks. Experienced board certified plastic surgeon, Dr. Steinbrech, tightens the underlying muscles and removes excess fat through his carefully located incisions. Post-surgery patients can expect swelling, numbness and some bruising. Bandages are applied during the recovery period and in some cases drainage tubes may be used to gather excess fluids for the first day post-surgery. Most patients can return to work two weeks after their neck lift surgery. 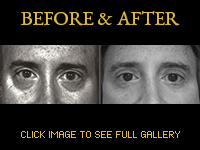 Puffiness and/or drooping of the skin surrounding the eyes is a tell-tale sign of age for men. Eyelid surgery, also known as blepharoplasty, improves the look of the upper and/or lower eyelids for a fresher, younger appearance. In some cases, the drooping or hooding of the eyelid can even begin to impair vision. An upper and/or lower eyelift can take years off of your face by giving you a rested and renewed look. As the area surrounding the eye is one of the first places to show signs of age, blepharoplasty was the number 3 most popular plastic surgery among men in 2012. A blepharoplasty involves very minor incisions, however the results offer a drastic change that takes years off of your age. The incisions made in an upper blepharoplasty are wisely chosen as they are made in the natural eyelid creases. The lower blepharoplasty can be accomplished with the open technique of an incision below the lash line, or a closed technique with an incision within the lower eyelid ridge. However, even though male eyelid surgery has a very high patient satisfaction rate, it is important to carefully choose the right plastic surgeon. Experienced board certified plastic surgeon Dr. Steinbrech has extensive expertise in treating eyelid drooping or puffiness with blepharoplasty surgery. With men wanting to look their best, treating the area surrounding the eye is a safe and effective way of achieving a younger look- boosting self-confidence and allowing you to look the age you feel. Liposuction sculpts the body by removing undesirable fat that has not responded to diet and exercise from the abdomen, waist and hips. 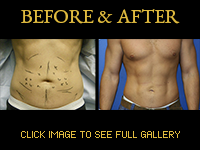 Dr Steinbrech is a plastic and reconstructive surgeon that specializes in liposuction. How does Hi Def Liposculpting differ? Hi Def Liposculpting by Dr. Steinbrech offers a more targeted and defined result. When used on the upper and lower abdomen and love handles, Hi Def Liposculpting chisels out the perfect six-pack, pelvic lines and waist for the ultimate sculpted look.